The badass bald headed guy has been re-hired for a second adventure, this time to dismantle the militia of the elusive shadow client. With a few plot twists along the way, and some lethal, and highly enjoyable sandboxed playgrounds to blow up with targets to strangle, shock, drug, and creatively mislead (+ much, much more) the sequel to 2016’s Hitman is here. Hitman 2 follows on from the events of the original Hitman title under previous developers Square-Enix, after a disagreement mid-cycle in Hitman 2’s development that threatened to throw the game into complete limbo. Square-Enix dropped the brand and IO Interactive regained full control of the silent assassin, they then managed to find the IP a new home under the Warner Brothers Interactive Entertainment label. Thankfully the episodic release method has been dropped to favor a fully-fledged retail release with 6 episodes (and no doubt plenty more through DLC well into the new year). The old saying “If it ain’t broken, don’t fix it” has certainly been applied here. Hitman 2 shares many similarities to 2016’s Hitman. 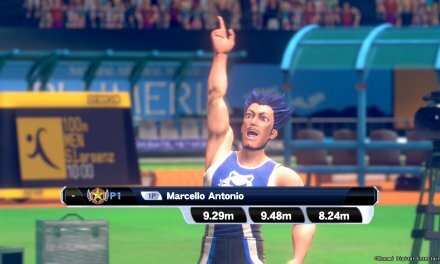 The menu layouts and gameplay mechanics are near identical to its predecessor. A returning Instinct system that indicates where A.I are located (particularly useful for identifying targets) and scouting out useful objects around the environment help to tactically and creatively plan out paths and ways to take out targets. Yet, despite being a game all about taking out contracts, showing levels of extreme violence along the way, and relentlessly showing little mercy to your victims. The game is far more satisfying approaching the maps with a stealth orientated approach. Rewarding exploration and expertly artistic assassination. 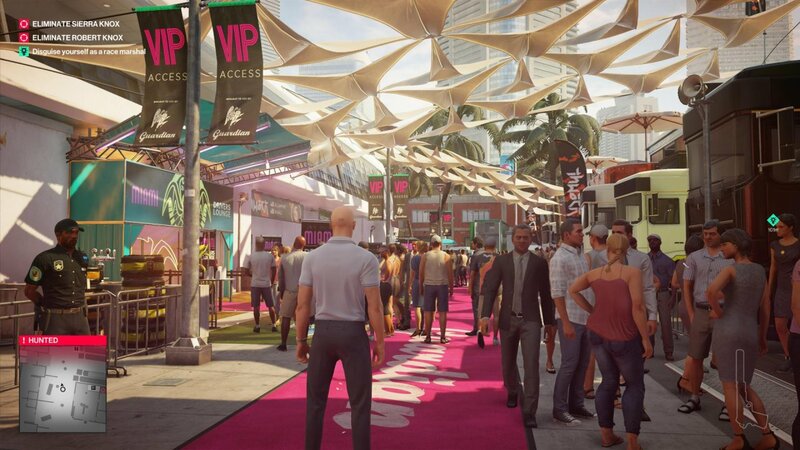 Explore the maps, seek out backdoor entrances, destroying CCTV cameras, utilizing many variable disguises (which can be hilarious) to maximum effect, and learning of new Intel (Aka P-Power the tattoo celebrity) in order to creatively conjure up highly amusing executions are what make Hitman 2 so great. 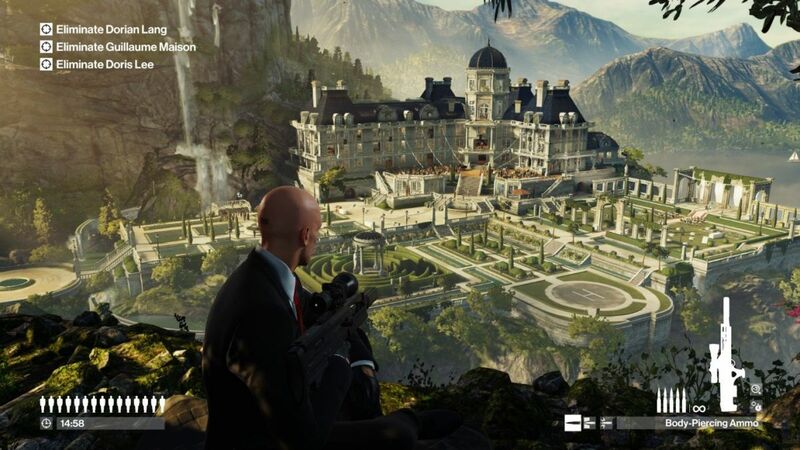 IO Interactive want players to think big, think intelligently outside the box, and have fun with it. It can be frustrating, and time-consuming, but then Hitman 2 is not a game to speed through each level to get straight to the end goal, and with only 6 levels related to the main story why would you want to? 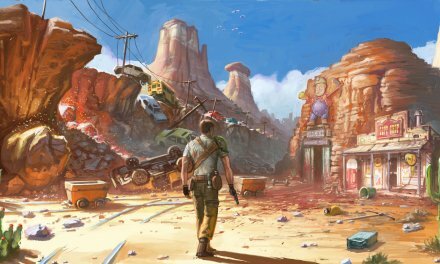 Highly detailed environments provide an invigorating, believable experience of the daily routines and lives of the in-game population. Bartenders will communicate with customers, backroom stage staff will moan amongst themselves, and paying customers queuing up for race day tickets will show dismay at the lengthy ques or pass comment on the food at one of the stands. To dismiss the public NPC’s because they are non-targets would be foolish, vital intel is often learned from conversations overheard. Each level has a unique personality that craves to be tapped into. With a plethora of paths to explore and interactive NPC’s that will trigger events. 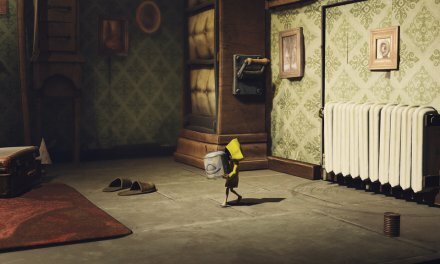 The game certainly impresses from an A.I and design point of view. Adding even more replayability is the feature on every level titled mission stories, these help gamers understand the purpose of unique kills related to varying in-game events and throw up a diverse, unique way of taking out targets. The mission stories cannot be completed on a single playthrough, so quite clearly you can see IO Interactives thinking behind it. The returning challenges can add up to 100+ techniques of enjoying a map, rewarding bonus XP when a challenge has been completed. The most effective way to enjoy the map is actually after numerous playthroughs, and having a high mastery level. Mastery level is the rank earnt by completing each map, unique to each level. So the more elite rank you become on say the Colombia drug cartel map, the more delightful toys and camouflages become accessible (which also include starting point). I found during early runs the maps can take hours to explore and when there’s only say one wrench on the whole level (when playing on hardest difficulty setting), which you then need to trigger an in-game event. Its crucial to learn your environment and know the paths & routines of targets, whilst being aware of the bodyguards and soldiers surrounding the area, to maintain being hidden/undetected. Then when the main story has been completed and the maps played to death, Hitman 2 has a few new modes to get your blood-soaked mitts into. These include Ghost mode and Sniper mode. 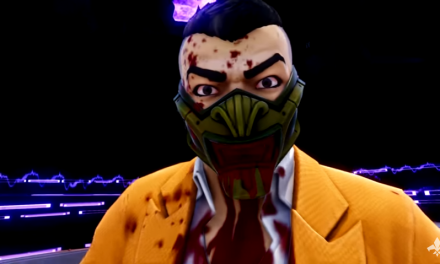 Ghost mode sees two players face off in a 1v1 online contest. Random targets, same map, first to 5 points wins. It literally is the fastest killer wins, the mode does not allow the two competitors to interact despite visually being able to see them. As for sniper mode, it takes all that was great about the mobile version and makes it even better on the big screen. This new mode (for a console title) can be solo’ed or played with a friend in co-op. With unlimited clips, a healthy amount of targets and a mighty frightening sniper rifle in hand. The mechanics/purpose of the mode is essentially the same as the mobile version, creatively exploiting the environment, triggering manipulated accidental kills by shooting at the right moment in the right place for a big, impressive kill score to brag about. Contracts mode also returns, this enjoyable mode puts the power in the creator’s hands as such. Select 3 NPC’s to be kill-fodder, and include kill stipulations to maximize payouts. Contracts can be played on any map, with multiple conditions set to meet the objectives such as certain exit points. This is a unique community inspired feature that can be created and uploaded to the online servers for aspiring agent 47’s all over. The popular elusive targets return, this is a limited one chance only opportunity to take out a contract and assassinate the target. 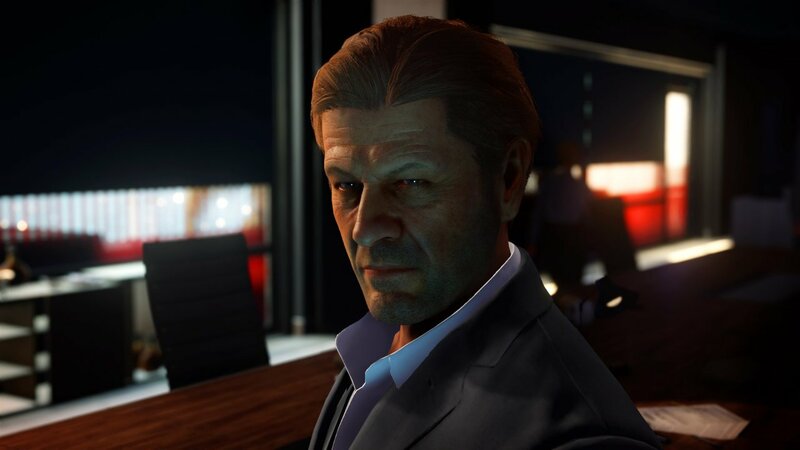 The famous Sean Bean has been announced as the first elusive target and it’s a fabulous way to bring further depth to the game. It add’s an immense pressure as one mistake could prove fatal, (especially when the target is only up for 2 weeks). I applaud the thinking behind this, it’s a great way to add further casual interest after release for the game. Hitman 2 is a game perfectly suited to the patient, wait for the right moment kind of style. Precision, creativity, and thinking deadly is encouraged. I recommend approaching the game with this outlook in mind. An all guns blazing approach is not how Hitman 2 works, explore the levels and for those that are new to the franchise, you’d be foolish to think having an ICA19 makes you invincible. Many thanks to Warner Bros Entertainment for the Xbox One edition of Hitman 2. 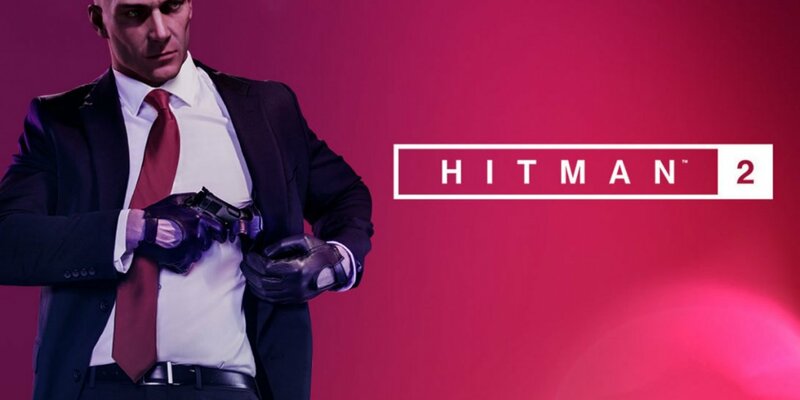 Hitman 2 is out now in stores for PlayStation 4, Xbox One and the Microsoft Windows platforms. Agent 47 dressed as a Flamingo! What's not to like! !